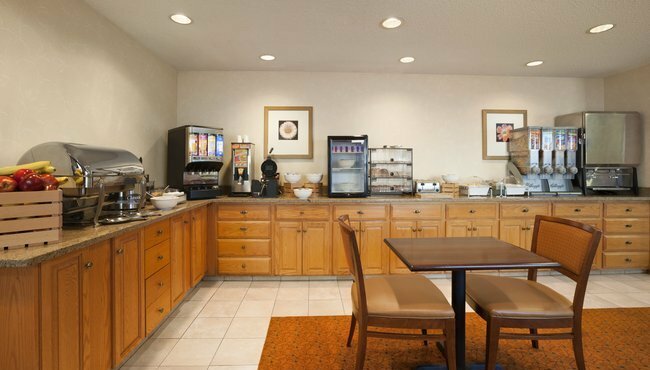 Start every day of your stay at the Country Inn & Suites, Lewisville with our complimentary, hot breakfast, featuring all your morning favorites. Enjoy a heaping plate of Belgian waffles, slathered with butter and syrup, or go light with a bowl of cereal and fruit. 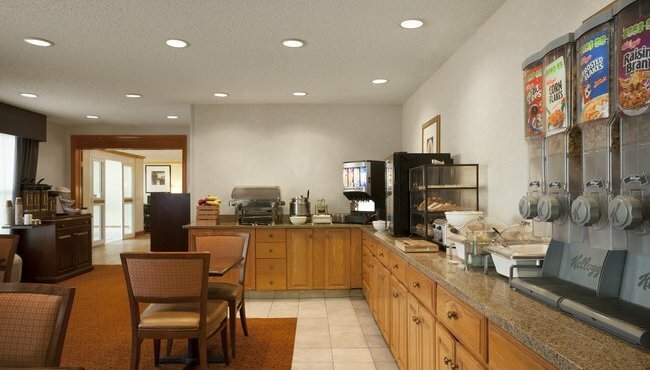 Whatever you choose, complement your meal with a steaming cup of hot coffee or a refreshing glass of juice. If you're around for lunch or dinner, pop over to BJ's Restaurant & Brewhouse or Red Lobster, among the many popular restaurants near the hotel. Mon-Fri, 6:00 a.m. - 9:30 p.m.
Sat/Sun, 7:00 a.m. - 10:30 p.m.